Create beautiful flowers for your garden or potted plants. The large flowers are 9" in diameter, the smaller one is 6". Each student can make one large or two small. A slurry of powdered frit is applied to the surface of clear glass to provide color and design. One can also use stringer or vitrograph to add areas of interest. 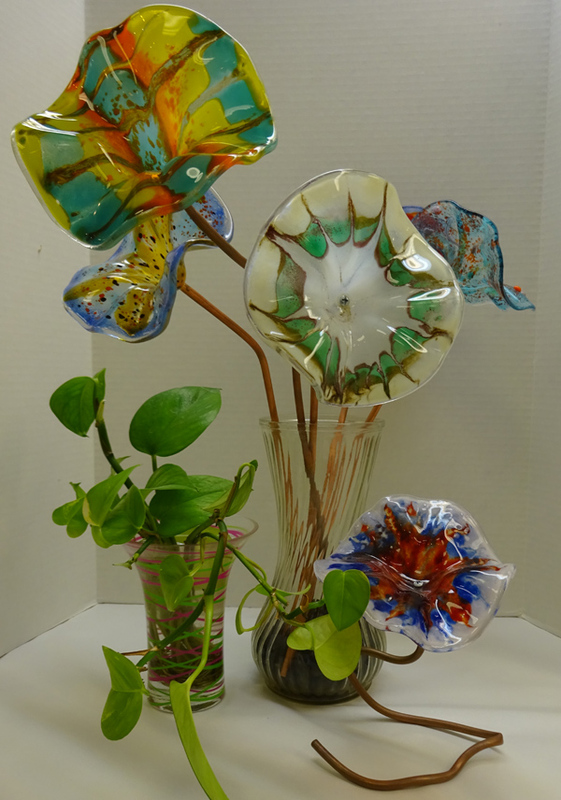 Your piece is fused flat and then slumped into a fluted mold to create a dimensional flower. Thank you Stephanie O'Toole from Creative Paradise for the idea and the wonderful molds! These flowers will make a wonder gift for any of your garden friends! !